Bad news, everyone! We're all xenophobes. Okay, so not really, but a new study from a team of researchers at Victoria University of Wellington, New Zealand, and Kwantlen Polytechnic University in Canada, revealed some startling truths about how a difficult-to-pronounce name can affect someone's overall credibility. 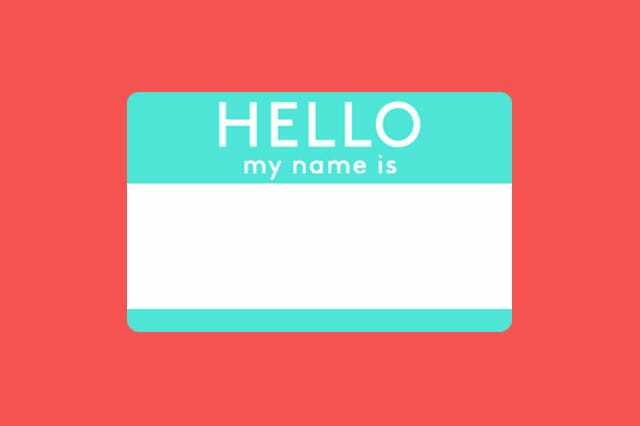 With the help of some undergrad volunteers, the researchers developed a set of extremely difficult names to pronounce and an opposing set of easily pronounced names. They then asked a second group of undergrads to determine whether they felt random trivia statements from a group of international students were true or false. Each statement was paired with either a complicated name (Yevgeni Dherzhinsky) or a simple name (Putali Angami). They discovered the statements paired with the more difficult names were deemed as false far more often than the statements paired with the easy names. When translated to real-world situations, these findings might be alarming for minorities with names that don't quite roll off the tongue. If we're less inclined to believe people with difficult names, does that mean they're at an automatic disadvantage in the workforce? Unfortunately, it does. Even more concerning is the second part of the study, in which the researchers discovered that people with tough-sounding names are perceived as more dangerous than people whose names are easier to pronounce. This notion is only propagated by incidents like the Boston Marathon bombings, whose culprits, Dzhokhar and Tamerlan Tsarnaev, have names that are relatively difficult to pronounce. There is no doubt that the study's findings will automatically make immigrants in America feel like they're at a disadvantage in places like the workforce, and might even push some to change their names to something that sounds more Western.